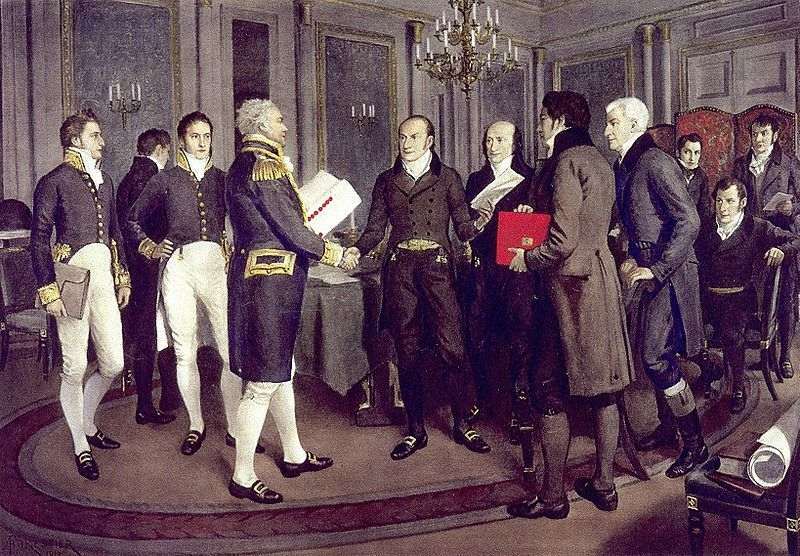 The Treaty of Ghent was signed by representatives of the United States and Great Britain to officially end the War of 1812. James Madison was President during the war, which ended the practice of British ships capturing and impressing American sailors into service. The war also created a huge surge of American nationalism with the American victory at New Orleans under General Andrew Jackson. The United States and Great Britain have not fought each other since the Treaty of Ghent was signed.